DJ Khaled just added another one to his real estate portfolio. 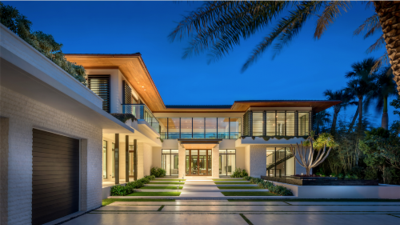 The Snapchat king of hip-hop just bought himself a nice $21.75 million home in Miami Beach. He really got a good deal because the house had originally went for $25.9 million. That's $4.15 million in savings! The DJ's new 12,750 square foot palace is a five bedroom with a humongous kitchen with an island in the middle, a stunning master bedroom suite with a floating staircase, an 80-foot swimming pool that you could fit the entire U.S. Olympic team in, a magnificent gazebo and outdoor kitchen and a four bedroom guesthouse for the in-laws or whoever drops by. The father of Asahd will be able to decorate his new crib with his own line of "We the Best Home" Goldition furniture. In 2017, the 42-year-old hip-hop professional had purchased another home in Los Angeles' Beverly Hills area that was previously owned by Robbie Williams in which he purchased for $9.9 million.